Hi! I have sprite frame by frame animation and what i need is when it's ended and stops it should send an event. Please help. Thanks! Re: Send event when sprite animation is ended. what tool inside Unity are you using to animate these sprites? 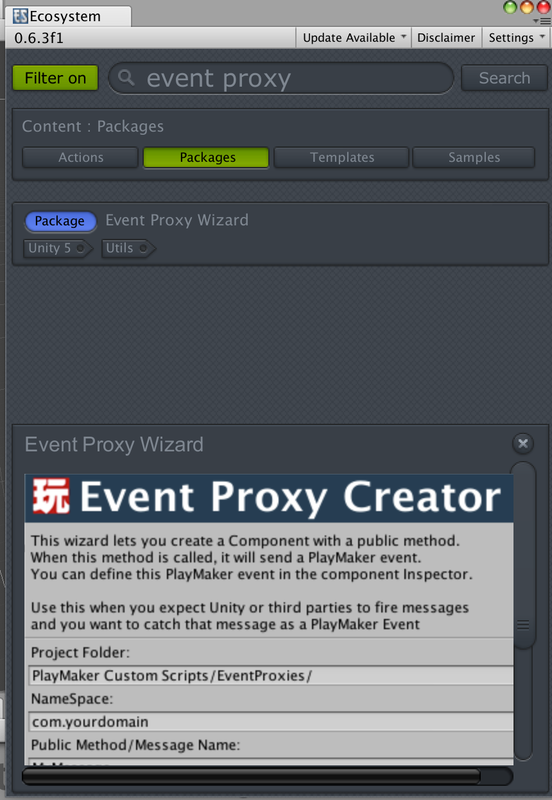 if you are using the animation timeline, you can create events on a specific frame and use the event proxy creator wizard on the Ecosystem to hook this up back to PlayMaker. Thank You so much! It helps.